Looking for those meatless dishes to serve up your family on a busy weeknight? 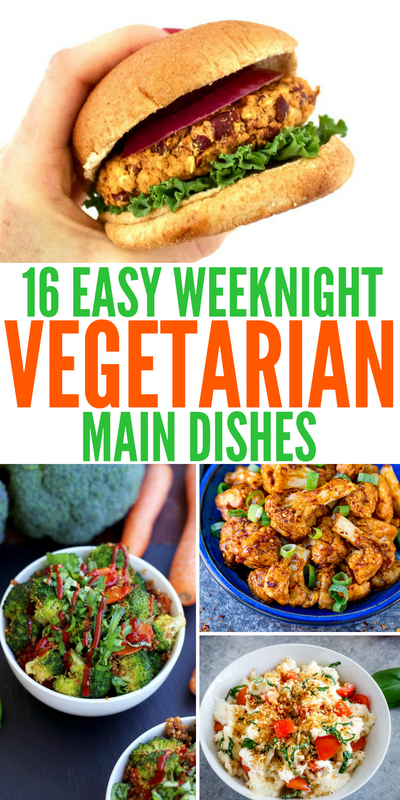 I have a ton of vegetarian main dishes for you all to try out and see how you like them. These main dishes are vegetarian-friendly and full of rich and vibrant flavors. Even some of the pickiest eaters will gobble these dishes right up. All of these vegetarian main dishes will help give you a variety in your meals and pull you out of a dinner rut. I know for me, I get stuck making the same 10 things, and my body craves variety. So step out of the box and try these meatless main dishes. Whether you are on the hunt for a slow cooker recipe, Instant Pot, or even stovetop recipe, I got you covered. A variety is what you will find below, all packed full of vitamins and nutrients! Nothing I love more than testing out a new recipe or two on my family. Summer tomato pizza with a basil garlic butter crust is what dreams are made of. Perfectly ripe tomatoes, tender crust, a mix of toppings for the perfect pizza. Vegetarian lemon chickpea wraps are a very light dinner option that is great when you don’t want anything too heavy. Serve with a crisp green salad and side of fruit and dinner is served. Serve up some low carb cauliflower fried rice. Super easy to make, wholesome ingredients for a quick and easy meal that can be made in a hurry. 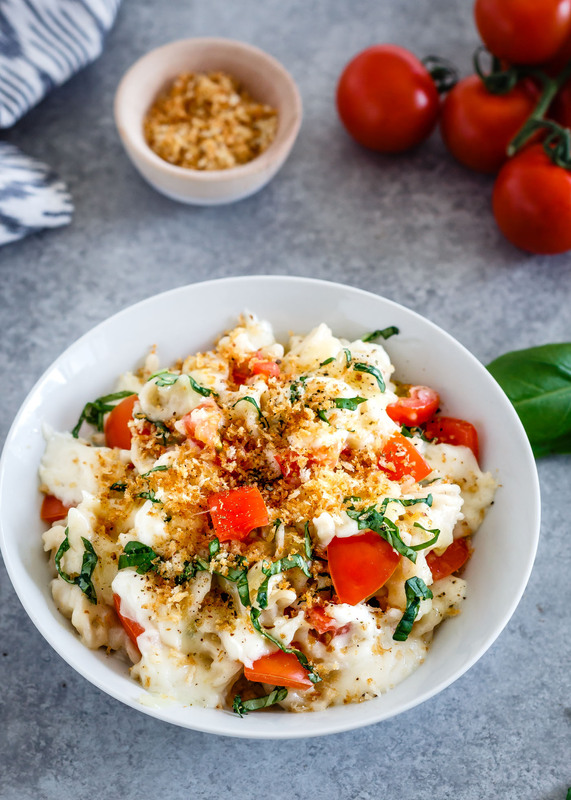 Caprese Mac and Cheese is a great adult version of a macaroni and cheese. But, because of the mix of flavors, even kids will devour this cheesy pasta. Quick and easy protein-rich coconut chickpea curry is full of authentic curry flavors. Serve over a bed of rice or use naan for dipping. Either way it is a perfect weeknight dish. Vegetarian Loaded Mexican tortilla pan has a great Tex-Mex flavor that is packed full of veggies and seasonings. Just 20 minutes is all that is required to whip up this savory dish. 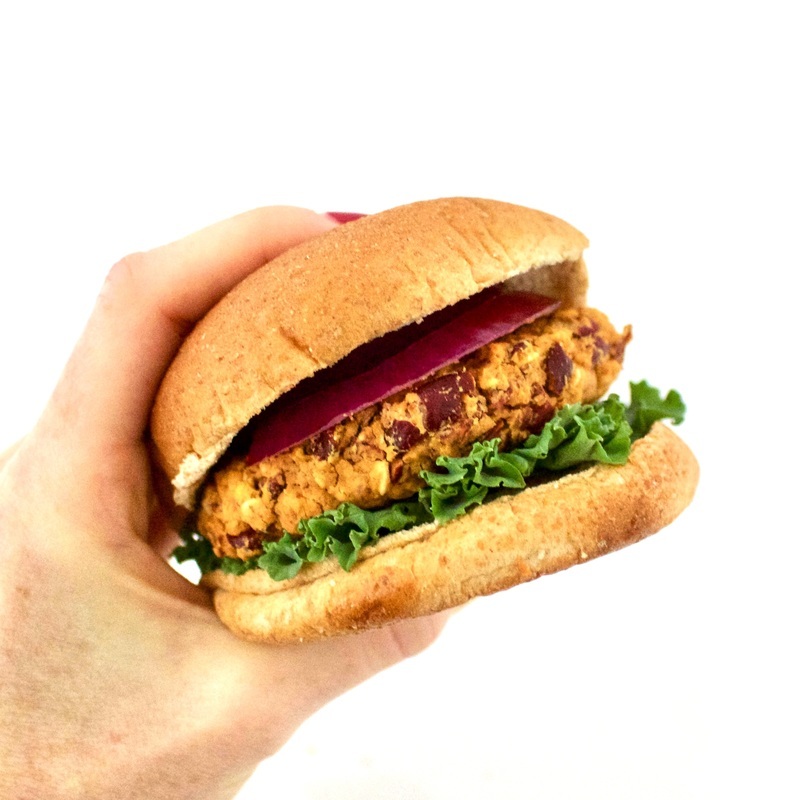 Kidney bean burgers are a vegan and gluten-free option. You get protein from the beans and fiber which is great for your body. They are hearty and full of flavor for a tasty meal option. Grab your favorite condiments and serve them up. Whip up these vegetarian burritos with a mango avocado salsa. You get that mix of sweet and savory in the salsa that just compliments the filling burritos. Slow Cooker Vegetarian Three-Bean Chili is a great soup to toss in the morning and let it cook through the day while you are away. Come home to a hearty dinner that is ready to spoon into bowls. 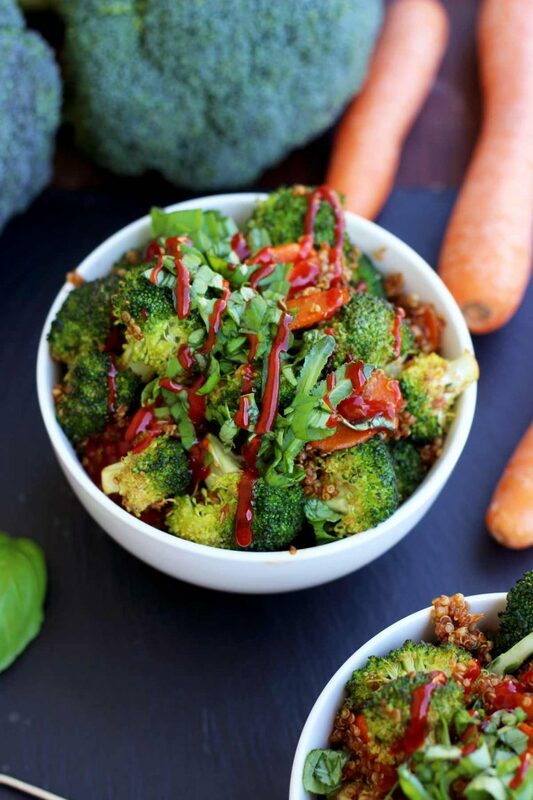 A simple vegan quinoa fried rice recipe that will fill you up and fuel your body. A quick and easy weeknight meal that tastes just as good leftover the next day. Serve up a pan of this easy vegetarian lasagna for dinner. Veggie-packed lasagna with a ricotta cheese filling and topped with the perfect tomato sauce. Weight loss wonder soup is a way to lose weight but also it is a vegetarian soup that will fill you up and warm you up on a cold day. Onions, peppers, cabbage, tomatoes and more. 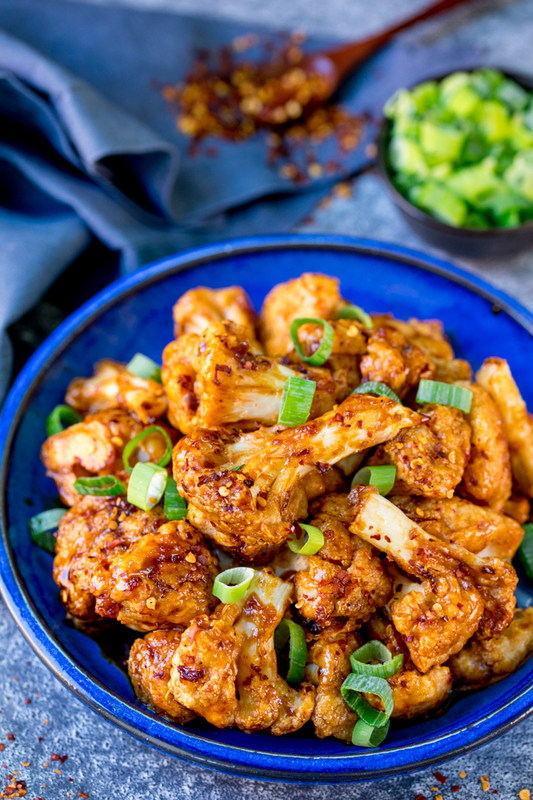 Baked cauliflower wings mimic chicken wings but are cauliflower. These are perfect to serve up any weeknight or even for a game day cheering on your favorite team. If you are craving pasta, check out this Sun-Dried Tomato Asparagus Vegetarian Pasta. 7 ingredients and a total of 20 minutes is all it takes for this pasta dish. Instant Pot lentil soup is such a comfort dish that many vegetarians enjoy. Protein and fiber and packed to the brim in this hearty soup. The Instant Pot makes this recipe a breeze to make. Prep this Crock Pot No Cook Manicotti in the morning, and turn it on and forget until supper time! 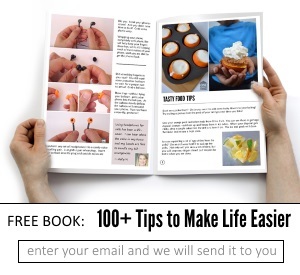 Easy and simple are what you find here. Serve with some crusty bread or garlic bread and a salad and dinner is complete. 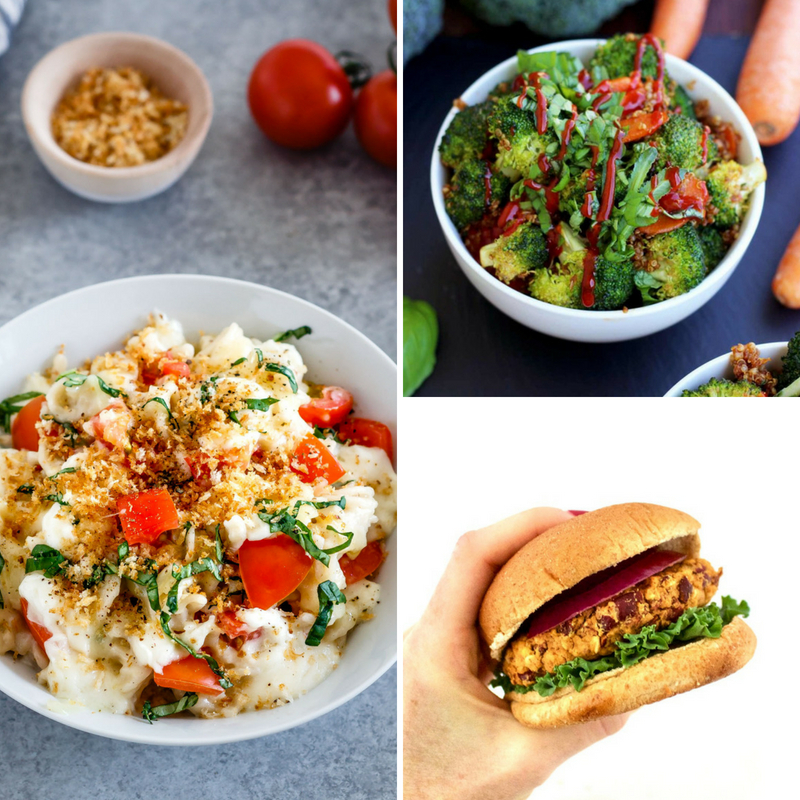 What is your go-to easy weeknight vegetarian dish?